Emma Norbiato, from Calabria Family Wines, was named Winemaker of the Year in the 2016 Australian Women in Wine Awards (AWIWA). We chatted about career choices, passions and the value of international travel ahead of her flight to London for the 2017 AWIWA. Emma grew up in the Riverina, a region known for its rich agriculture. I asked her what it was like growing up in this area and how it nurtured her interest in wine-making. "I grew up on a rice, wheat and sheep farm in the Riverina. I suppose you could say my childhood was not too dissimilar to those cliché memes you see on social media about growing up in the eighties in the country. We played outside all the time, had no technology and learning to drive a car by about the age of 10 was normal. As I became older I realised I enjoyed the connection to agriculture, but I wasn’t tough enough to be a farmer. There was - and still is - a part agriculture, part science and part artistic element to winemaking that really appeals to me. However choosing to study winemaking was just a punt - I actually wanted to be a dietician up until the day I entered my university preferences! Thankfully I loved winemaking." I asked Emma what it was about her punt in winemaking that gave her joy and motivation? "As crazy as it sounds the buzz of vintage is quite addictive. “Vintage” is a term we use to describe when the grapes are ready to be harvested, processed at the winery and turned into wine. During this period the hours are long, stress levels can be high, but there is a thrill when the fruit comes in, we taste the progression of the ferments, and see the hard work of the growing season come to fruition. I particularly enjoy when the collaboration between growers and the winery has been achieved and all parties have fulfilled what we set out to do." 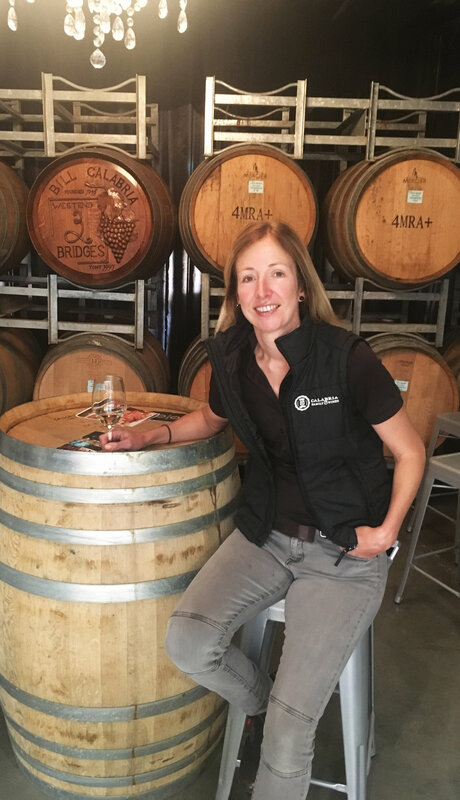 Emma has worked at a number of notable vineyards and wineries, including Penfolds and Castelgiocondo in Tuscany. I asked how her international experience shaped her work in Australia. "I’ve been fortunate to work at many wineries that have taught me a range of skills. Moving from Penfolds, one of Australia most iconic wineries, to Casella, one of Australia’s largest wineries has taught me many skills - some that can’t be taught at too many other wineries in Australia. I loved working in Italy, in fact when I was in Italy I simply felt like I was Italian. Working in another country broadens your mind in ways that books, tutorials and other means can't. It's encouraged me to want to make wines with more interest, layers and texture. There is a long history of winemaking in Europe. In Australia we are so young, so working in these countries doesn’t just teach you how to make wine right now, but about the history, regions, appellations and more." With a view to the next five years, I asked Emma about her vision for the future. 'In the next five years I would like to see more thoughtful viticulture and winemaking of our ‘alternate varieties’ - varieties other than mainstream Shiraz, Chardonnay, Cabernet Sauvignon and so on. These varieties, such as Montepulciano, Nero d’Avola, Pinot Bianco are new to our region and I think they haven’t reached their potential yet. I’d also like to see the Riverina region start to challenge the status quo. We are traditionally known as a ‘less romantic’ region, but I believe with the right viticulture and some hard work we can challenge that. I feel there is a new generation of sommeliers in Australia that don’t have any bias regarding the Riverina - so now is the time to push the boundaries." Emma’s passion for the Riverina and wine making is abundantly clear and, of course, Calabria Family Wines has a proud history that goes back to Southern Italy. Given Calabria Family Wines sells to over 44 countries across the world, I wondered how Emma distilled her love of the Riverina and her wine to such a broad audience. "Selling wine isn’t easy, thankfully we have sales reps that do it - I couldn’t sell ice to Eskimos - I’d give it away. However, when you are truly passionate about something you don’t have to try – or at least the effort comes easily. I feel our edge is that we are a family business, to me this is comforting as it means we are working towards the bigger picture and long-term goals, rather than working towards a quarterly sales announcement. I’d like to think that the passion and commitment is evident in our wines, couple that with meeting someone from the business and I think the audience is converted." Being crowned 'Winemaker of the Year' in 2016 is a huge achievement. I asked Emma what is it like to hold this title and what it meant for her career? "Honestly, I didn’t even contemplate for one second that I would be the winner of the AWIWA Winemaker of the Year! For me, this title doesn’t mean I am the best at what I do or that I know everything, and I think the second I start to think I know everything about winemaking I may as well give up! This award is about the sum of many parts. I am fortunate to work in a team where we all have different strengths and play to those strengths and in a company that allows us the creative freedom to keep pushing the boundaries. The award has certainly led to more opportunities and awareness for both myself and the business - being part of the Women in Wine Awards in London is just one of them." Finally, I asked Emma about her favourite places to sip wine in London. "Last time I was in London I was a backpacker…… so perhaps the places I recall ‘sipping’ in London aren’t relevant! I am really looking forward to seeing London again in September through non-backpacker eyes - in fact, I can’t wait!"